The PledgeMusic pre-order gives fans the chance to purchase a wide range of merch packages, with each one providing access to exclusive behind-the-scenes information approaching the album’s release. The pre-order was launched in part due to the overwhelmingly positive response to the single “Wilderlove,” released this summer. “After the exciting response we got from the release of my first single, Wilderlove, I had to find a way to get you guys as involved as possible in the release of the full record– so that’s why we’re here!” McMillan shares on his PledgeMusic page. You can watch the music video for “Wilderlove” below. 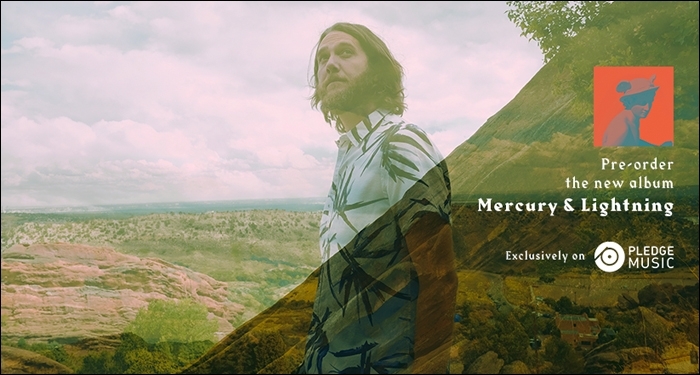 That kind of vulnerability characterized John Mark McMillan’s last full length album Borderlands, and promises to saturate Mercury & Lightning as well. You can pre-order the album here and keep up with his continuing musical ventures on facebook, instagram and twitter.